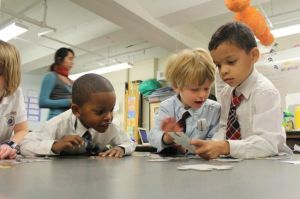 Kindergarten students interact at the St. Louis Language Immersion Schools’ Spanish School. Saint Louis Language Immersion Schools has been selected for the inaugural cohort for the Charter Network Accelerator, which is focused on helping experienced leaders, with an emphasis on leaders of color, in designing and scaling their networks of schools. 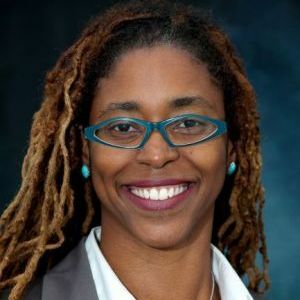 Rhonda Broussard, founder and president of St. Louis Language Immersion Schools, is African-American. St. Louis Language Immersion Schools (SLLIS) is a network of public charter schools whose mission is “to position all children for success in local and global economies through holistic, intellectually inspiring language immersion programs.” SLLIS currently offers tuition-free immersion education in Spanish, French and Mandarin to 871 students.